Caddy for Big Ben for a great cause! Ben will be playing in the Honda Classic Gold Pro-Am in Palm Beach Gardens, Florida next week and YOU can be his caddy! The non-profit organization, Caddy for a Cure, is accepting bids for the opportunity to be Big Ben’s caddy during the Honda Classic Gold Pro-Am to be played on February 26th. 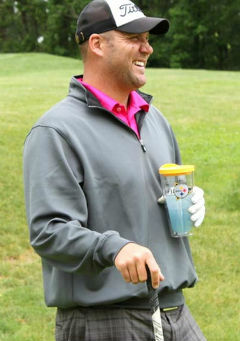 Fans of both golf and the Steelers have the opportunity to bid on the right to caddy for Ben for the entire round, walking inside the ropes, and conferring with him on course strategy, club selection…and of course, football! Ready to bid? You better hurry, there’s just ONE DAY left! Click here for more info, and here to place your bid! *Photo is from Ben’s own tournament last year. You can see the album here! Baseball legend Roger Clemens, Pittsburgh Steelers Quarterback Ben Roethlisberger, three-time Grammy award winning artist Branford Marsalis and longtime country music star Toby Keith will join 2011 British Open champion Darren Clarke in the featured celebrity group of The Honda Classic Gold Pro-Am presented by Tire Kingdom, Wednesday February 26 at the 2014 Honda Classic.